Marketplaces and prices shown matched UPC number 606314573102 during our search. 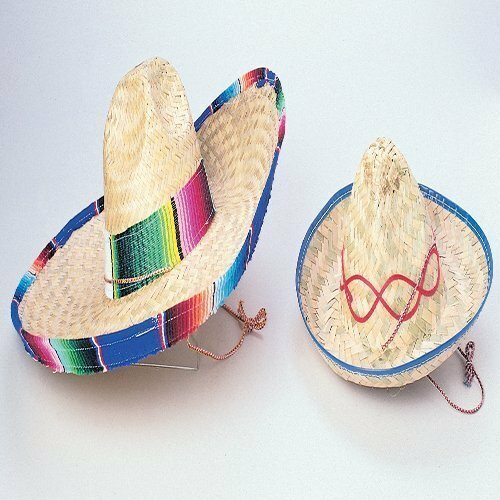 ONE DOZEN MINIATURE SOMBREROS: Our fiesta party supplies mini Sombreros 12 pk comes ready to use in assorted colors. Our Sombrero Hats are handcrafted by Mexican Artisans. The vibrant colors make them a blast to use for your Cinco De Mayo or Mexican parties. Take your Mexican Fiesta to the next level! Our Sombreritos are designed with the inscription VIVA MEXICO measures 2.5" diam. for convenient use. They will look fantastic for your party d cor and add great class to your events to the amazement of every guest to your Cinco De Mayo, Mexican Fiesta Party. PREMIUM PARTY SUPPLIES BUNDLE: Our handcrafted Mini Sombreros offer you creativity and fun. A sure way to light up your party for unforgettable memories. setting them up as cocktail drink topper ,cake, ice cream topper, or venue decor accessories. VERSATILE APPLICATIONS: Fiesta Brands' mini decorative solutions are perfect for your Mexican fiesta party, Cinco de Mayo, and other events. Add great style to your celebration with our adorable party supplies kit. 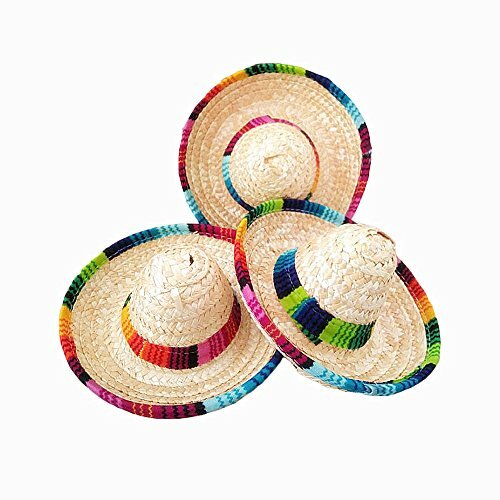 EASY TO USE: These Mexican fiesta straw hats party d cor kit is easy to use. Simply remove from package bag and use as drinks decorations, cake topper or attach to a string and hang them in your event center or home for a great decoration setup. 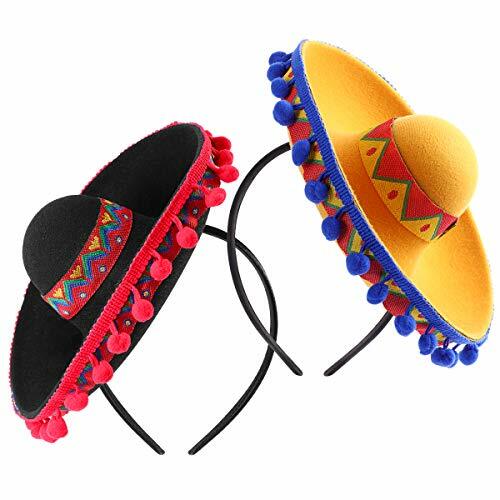 Make your party a blast with our 12 pieces pack Mexican fiesta Mini Sombrero Hat. These adorable party decorations are what you need for an unforgettable and unique Mexican Fiesta celebration. Our Mini Hats are designed using high quality environmentally safe straw with "Viva Mexico" inscription. Thrill your guests to a colorful celebration by using our 2.5 INCHES artisan crafts as a topping for your favorite cocktail drinks, ice cream, cake, desserts, and so on. 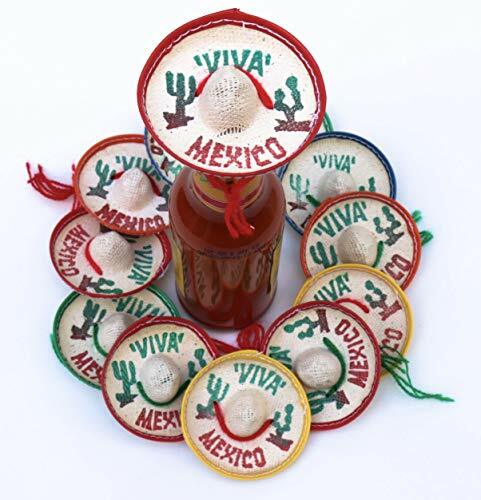 They are an excellent way to light up your place setting and table centerpiece arrangements for weddings, bachelor party, graduations, birthdays, bars, restaurants, and hotels.. Our kit includes: Set of 12 Sombreros: Assorted Colors Sturdy Mexican themed design with Viva Mexico handcrafted by true Mexican Artisans. Fully assembled, NO DIY hassle. Each piece measures 2.5" in size made to perfection by Mexican artisans with many years of professional experience. and come FULLY assembled for a lit Mexican fiesta celebration. Buying Fiesta Brands' awesome party supplies adds great shine to your events and home decors. Suitable for use as a gift item for loved during the festive season. Appealing to men, women, kids, toddlers, teens, boys, girls, and lovers. Put a smile on someone's face today with these elegant items. Buy our mini sombreros; your ticket to a lit celebration! Add to cart now!